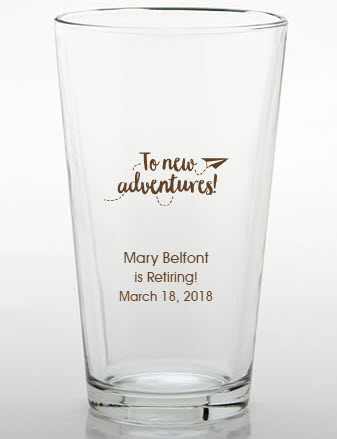 Raise a glass in honor of your favorite retiree with these personalized pint glasses retirement party favors. 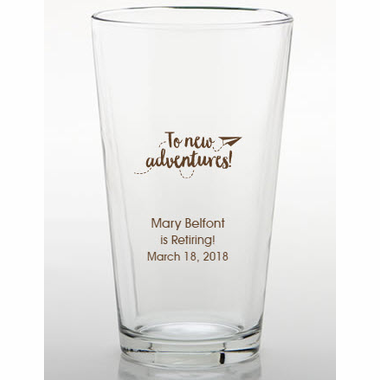 With so many designs and imprint colors, you can create a custom message with just about anything on it. Measuring 6 inches tall and 3.5 inches in diameter, each glass holds 16 ounces. Sturdy and made in the USA, glasses are shipped in bulk packaging.